A thread for discussing minor status updates about ZUN and Touhou, the second take. ki-san: ZUN's wife and former co-worker. Game programmer. Loves frogs. Also loves drinking. Harukawa Moe: Artist of Touhou Suzunaan ~ Forbidden Scrollery (published by Kadokawa). Still in college. -Autumn Reitaisai will be held on Nov 24 (Mon). -The Touhou section of Comiket 87 takes place on its second day, Dec 29 (Mon). Twilight Frontier will be present at 東シ29a; their new release has yet to be announced. Here's a fun report from Touhou Memory. 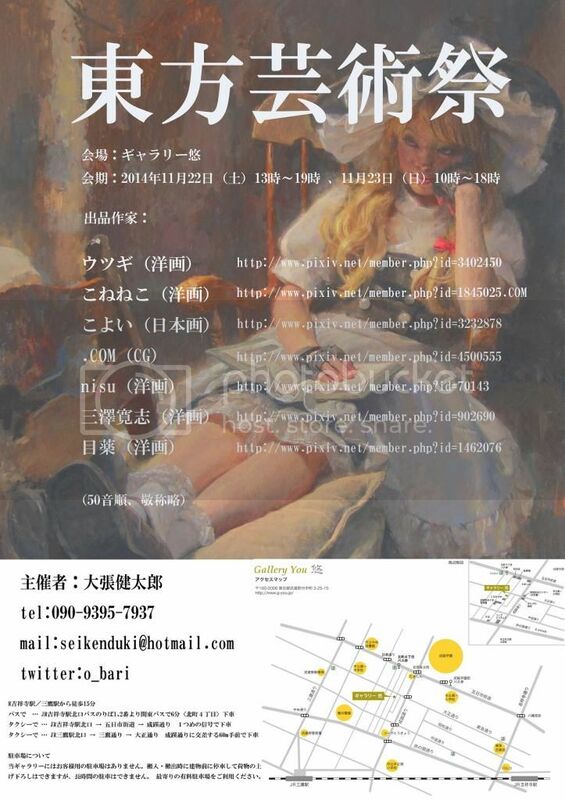 A Touhou-themed art exhibition "Touhou Art Festival" will be held in "Gallery You", an art gallery in Kichijōji, on Nov 22 and 23, immediately before the Autumn Reitaisai. Entry will be free. The artists are: Utsugi, Koneneko, Koyoi, .COM, nisu, Misawa Hiroshi, and Megusuri. The media are digital painting for .COM, Japanese traditional painting for Koyoi, and other Western styles for the other artists. Make no mistake, one of the artists is different from the others. Six of them are young students still learning their trade; Misawa Hiroshi, however, is an oil painter with over 30 years of experience, known for his expertise in anatomy and dedication to education (plus willingness to draw Touhou, and intermingle with the nerdy Pixiv/NicoNico/Comiket crowd, of course!) Let's just say, you can buy his textbooks on oil painting and anatomy even in China. Ōbari Kentarō, curator of the show said this about Misawa's "Ordinary Magician", the painting used in the poster above: "It's the largest painting displayed in our exhibition. You must see it with your own eyes to feel its power." For the coming Sunday's Digital Game Expo, the doujin circle Endless Shirafu (∀kashicverse) has set up a competition. They've already got 14 doujin STG developers signed up, including Shanghai Alice. If you are going to drop by Akihabara this Sunday, this would be a fun thing to do. That STG contest sounds like great fun, and I don't even play for score. It just sounds like it would be a fun time. Plus, going over the different circles, a lot of these games look great. Twilight Frontier has released a demo for their most recent title, the sidescrolling STG Shoot Shoot Nitori, and announced they will release a downloadable version of the game through 4 doujin vendors on Dec 14: Toranoana, Melonbooks, DLSite, and Surfers' Paradise. This will be the first digital release in their history. I'm always in support of digital versions, relying on others to get my games doesn't sit right with me so I'm very happy to see many devs going digital. I imagine this should help set more of a precedent to digitally distribute Touhou fangames. Re: ZUN and Touhou Status 2: ZUN making a minigame for Digital Game Expo! Digital Game Expo is near, and things are heating up! He's not going to retire any soon, is he? D.N.A. and tbn will be hosting a special Nae Radio broadcast at the Expo, from 1:30 to 3:30 PM. The show will be broadcast on Ustream here. Many groups are showing their new works at the Expo. If you have wondered what will Tasofro show, well, a huge new game has been announced (click the link to see a screenshot)! 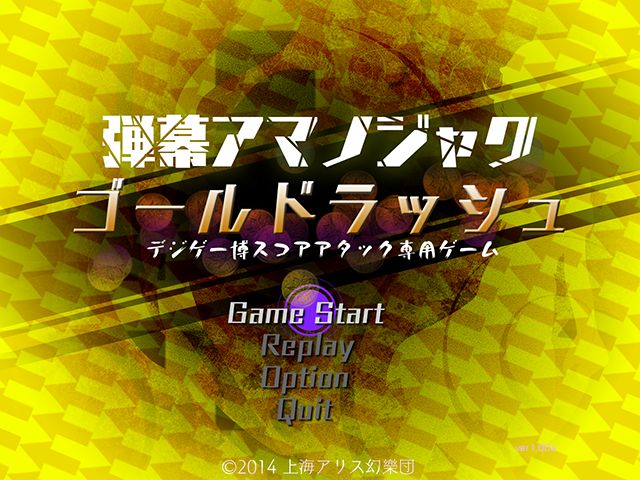 Titled 在庫の達人 Zaiko no Tatsujin "Master of Inventory", the game is made in only two days. And what does ZUN have to say today? ZUN: So I haven't notified you... out of the blue, I will be attending the doujin & indie game event, Digital Game Expo 2014. Guess I should get working on something I can bring there, right now. ZUN: Ah, please don't misunderstand. It will be a minigame built only for playing at that place, containing nothing marketable. It's for Shooting Game Caravan. My thoughts: making a game in a short time frame specifically for an event, this is an idea they learnt from the Western indie culture. However, I'm not sure Unabara and ZUN have internalized the idea that the purpose of doing all that is for communication and interaction, which means these experimental minigames should also be released publically for free, preferrably with source code. In any case, this is ZUN's first non-packaged game since Pubs at Dusk ~ Uwabami Breakers. Given that he have only two days to make it, it will likely reuse Touhou assets, which would make it part of Touhou canon. That's a curious thought. These two day games, if kinda sounds like that Hour of Code challenge I've heard going around college campuses. Is the short creation time a challenge they made themselves or is it a limit that Digital Games Expo is putting out? Those kinds of speed game making events are called "game jams" in the Western indie game world. Digi Game Expo is only a doujin/indie game exhibition, not a game jam; you are only required to bring your original game (no adult content) to the expo. They either set the limit themselves, or are too lazy to be willing to spend more time on these games. It'll feature a 10th cheat item that "destroys danmaku" so it'll probably be heavy on bullet-cancelling, and he says it was meant to be an easy game made just for score attacking. It's easy to guess that the 10th rule-breaker is some sort of Midas touch that turns danmaku into gold. Which means... something from Nazrin and Shou? Do you think there would be any chance that he would put this game up on his website? If it does have some kind of short story to it I'd still like to play it even if its just for the event. Edit2: Sprite looks like Seija though. If you have wondered what will Tasofro show, well, a huge new game has been announced (click the link to see a screenshot)! 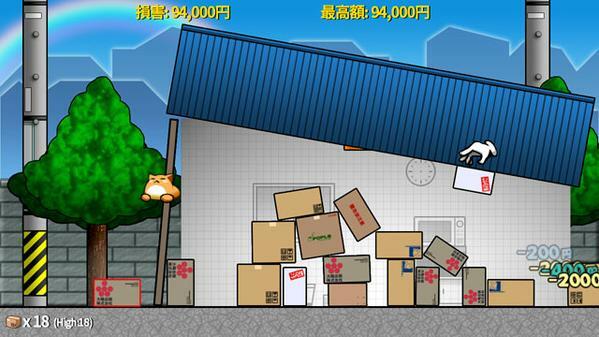 Titled 在庫の達人 Zaiko no Tatsujin "Master of Inventory", the game is made in only two days. ZUN confirmed that Gensokyo is located in Canada! 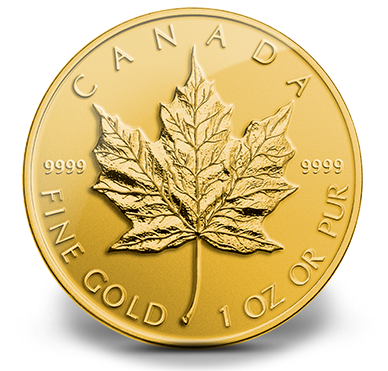 The gold maple leaf coins were really popular in Japan during the bubble years, probably because of aggressive marketing + maple leaves being a popular, evocative symbol. Japan doesn't mint its own bullion coins, since there hasn't been any gold mining done in decades. Wikipedia says it was the only gold coin continuously being minted and be available to the world for a while in late 20th century. Could that also be a reason? I have totally no idea, though! 2014-11-24 (Mon), 20:00 PM JST: PoriPori Club: ZUN and D.N.A. will talk about Digital Game Expo. 2014-11-26 (Wed), 20:00 PM JST: Nikenme Radio. ZUN: With the manuscript done, I'm going to attend a meeting. Should I drink something warm? ZUN: The meeting took place with Ms. Moe lecturing the editor throughout. I got my warm drinks. Harukawa Moe is no ordinary newbie mangaka . I don't think she was lecturing the editor, but ZUN lol. Yeah, the kind of gold coins being sold varies depending on which countries have gold mines running or are selling off gold reserves. Gold is just gold but coins themselves become evocative depending on how they are used. For example, in the US the South African Krugerrand had a vaguely sinister reputation in the late 1980s, reflecting their origin in apartheid South Africa and percieved use by criminals. The "gold rush" theme is certainly timely given Japan's current economic woes. Glad ZUN has his priorities straight! I was specifically referring to the snap elections. Gold Rush's stage is called "Financial Easing in Another Dimension". Easing is part of the Abenomics package, and apparently because the inflation had not reached the degree they planned, Bank of Japan did this 3 weeks ago, causing the yen to plummet like it hadn't in a long time. ZUN: I'm going to a female cousin's wedding. This is the first time I bring my son to Karuizawa. I'm a bit nervous. ZUN was born in Hakuba Village, Nagano. Hakuba (the name means "White Horse") is a mountainous village that has turned into a ski resort in modern day. I actually had a perfect opportunity to write about it earlier this year, but was too busy at that time. Karuizawa, meanwhile, is a famous tourist destination in Nagano. This would have been an ordinary family reunion. But the same night, a shallow-focus M6.7 earthquake shook Nagano, with its epicenter only a few kilometers to the east of Hakuba. Hakuba suffered the most damage from the earthquake. Several buildings collapsed, and dozens of people were injured. ZUN: It was a big one. I'm in Karuizawa now. ZUN: My hometown happens to be at the epicenter. Due to the wedding, none of my family are staying at home. Is that good luck or bad luck? ZUN: We are all good here. But news from home says the east of Hakuba was struck hard. ZUN: Television is reporting on Hakuba nonstop. It's scary to hear such a small village's name being repeated on television. 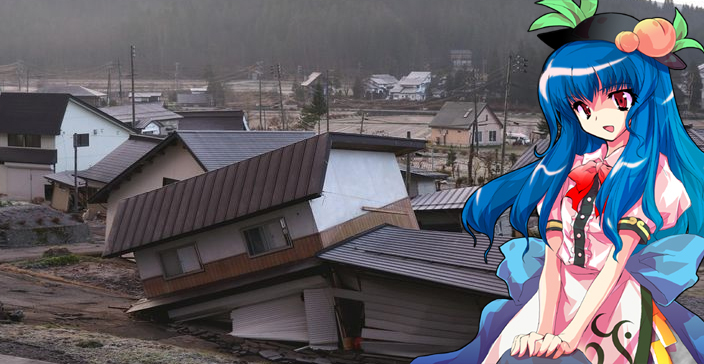 ZUN: The earthquake images from around my Hakuba hometown leave me with no words. So does news like the collapse of my classmate's house. Well I'll be damned. Good call, sekibanki! So the spellcard is ... taking it easing. Also, for some reason it makes sense to me that ZUN's family home would be in the rural mountains, as much as it informs his work. Glad he and his family are safe; I've been 15 years in a seismic/volcanic country and still can't get used to how scary earthquakes are. There's no panic quite like the earth moving under your feet. Apparently the Reitaisai Committee has announced via their post-event stream: Reitaisai 12 will be held on May 10, 2015 (Sun); there will be a Taiwan Reitaisai. No details on the Taiwan event seem to have been announced. Oddly my mind did go there, but my heart goes out to those who were hurt but this. I'm not familiar with earthquakes but torrnados I'm deathly afraid of though. There's no Suzunaan manga this month. 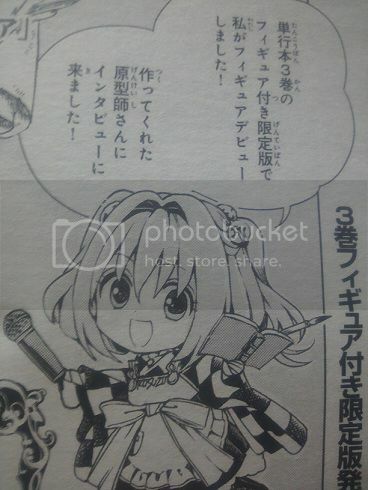 Instead, we got chibi Kosuzu interviewing the sculptor of the Kosuzu figurine for the limited edition of Suzunaan Vol. 3. Wasn't the limited editiion "strictly produced on demand"? From a corporate perspective, what's the point of informing consumers about it when the preorder period has long passed? Well, half a month ago some book store said you can still buy it there, and now Toranoana is also accepting new preorder.